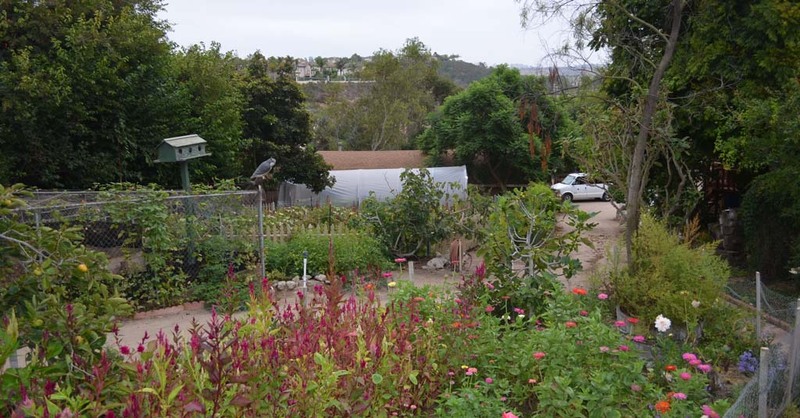 CARMEL VALLEY — Some might expect Stephenie Caughlin, the owner of the small Seabreeze Organic Farm, to endorse Proposition 37 without thinking twice. If passed, the November ballot measure would require labels on food products that use genetically modified crops. Proponents argue the consumers have a right to know what they’re eating, and the playing field would be leveled for organic farmers. Opponents counter the initiative would be costly to businesses and large farmers, mainly because they would be forced to repackage products. As for Caughlin? She’s still undecided. The longtime organic farmer is carefully weighing the pros and cons of an issue she’s worried voters may not know enough about. Caughlin pointed out that major food conglomerates are seeking to sway voters by dumping money into a high-profile media campaign. According to the most recent MapLight.org report on campaign contributions, those against the proposition, led by Monsanto Co., have raised nearly $25 million. Paling in comparison, those in favor have collected more than $3 million. Polls in recent months show support for the proposition hovering at around 60 percent. That may change as “no on 37” backers flood the airwaves with ads against the initiative. She worries the proposition would drain taxpayer funds. Depending on who’s asked, that fear may not be unfounded. According to a study prepared by the nonpartisan California Legislative Analyst, enforcing the initiative could cost state taxpayers up to $1 million annually. Many say that’s a small price to pay for informing consumers what’s in their food, with others arguing its tacking onto already unruly government bureaucracy. The study also concluded state and local courts may see additional lawsuits as a result of the proposition. In response, many backers of the proposition say the initiative was written to avoid frivolous lawsuits. Caughlin isn’t so sure. “I think it just opens the door for trial lawyers to hurt businesses, especially small businesses,” Caughlin said. Another issue more than worth looking at, Caughlin said, is the proposition’s effect on food prices. So far, studies on the proposition and food prices are split. A study by Northbridge Environmental Management Consultants maintains the proposition could cost the agriculture and grocery industries billions largely because of added fees for relabeling, repacking and using higher cost ingredients for products. In effect, that could drive up food prices $350 to $400 for the average California family. Pro-label advocates argue Northridge’s study is built on a flawed premise. In turn, they reference a study conducted by a professor at Emory University School of Law that says relabeling and other costs would be negligible. Should voters approve it, California would be the first state to demand labels on foods that contain genetically engineered crops like corn and soybeans. However, some foods would be exempt from labeling. Examples include alcoholic beverages and foods that are sold for immediate consumption in a restaurant. Two other organic farm owners in San Diego said they’d like to further study the proposition before making up their minds. “I want to see a more conclusive study on the economics,” said Bill Brammer, owner of Be Wise Ranch in Escondido. Caughlin said refraining from jumping on the “yes on 37” bandwagon doesn’t mean she doesn’t support organic foods. Following careers as a teacher, gold broker and CEO of a futures trading company, Caughlin started her two-acre farm in the late 1980s. Seabreeze is a part of a CSA (community supported agriculture) that grows and delivers a variety of organic fruits, vegetables, herbs and flowers to homes. Seabreeze also hosts community events. Like other organic farmers, Caughlin said she takes issue with land degradation and health problems associated with genetically modified foods.